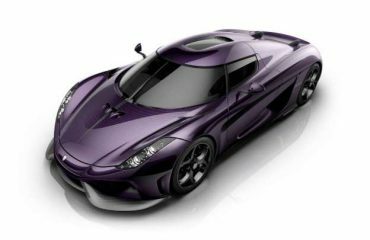 Koenigsegg Agera R arrives in the U.S.
Swedish manufacturer Koenigsegg based in Angelholm, the company was founded in 1994 by Christian von Koenigsegg, with the intention of producing a world-class supercar. Many years of development and prototyping led to the company’s first street-legal production car delivery in 2002. Now Koenigsegg has announced that the Agera R has been launched in the United States. This supercar is powered by a V8 5.0-liter twin-turbo engine that generates 1099 hp (820 kW) and 885 lb-ft (1200 Nm) of torque, the engine is mated to a dual-clutch seven-speed transmission. The Koenigsegg Agera R weighs only 1330 kg (2932 lb), and the Agera R completes the sprint of 0-62 mph (0-100 km/h) in a whopping 2.9 seconds and can hit a top speed of more than 245 mph (390 km/h). Now talking about fuel efficiency, the new Koenigsegg Agera R, returns 16 mpg US (19.2 mpg UK or 14.7 liters / 100 km), with CO2 emissions of 310 g/km. 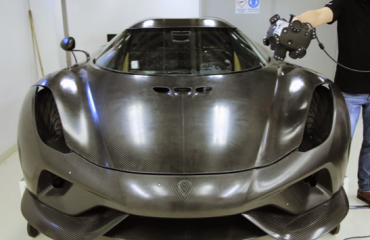 Well the Koenigsegg Agera R has an aerodynamic carbon fiber body that creates 661 lbs (300 kg) of downforce at 155 mph (250 km/h), with a removable hardtop, an adaptive rear wing and an aggressive diffuser at the rear end. As of the Pricing details, for the US market, the Agera R is priced at an impressive $1.5 million.